February can be one of the best months to visit Iceland. There’s lots going on and plenty of winter activities to keep you occupied. Glacier hiking at Vatnajökull National Park? Check. 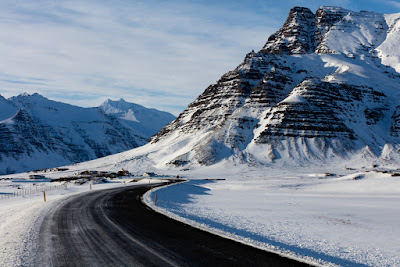 Skiing in Akureyri and the north? Check. A thriving indoor café and nightlife culture? Check. But there’s something very important to consider if you plan on taking your Iceland vacation in the winter. If you don’t come prepared with what to expect, the weather can wreak havoc upon your trip. From sudden storms that delay your travel plans to not dressing warmly enough to running out of time at the end of the day, there are certain things that can be better dealt with you know what you’re getting into. Let’s delve into Iceland February weather, temperatures, and daily hours of sunshine. One of the first things people want to know when planning a trip to Iceland in February is “How cold will it be”? This is a fair question, so let’s get right down to it. Many travelers assume that Iceland is going to be some sub-Arctic tundra of permafrost and a winter wasteland. It can sometimes feel this way, but rest assured. It’s not that bad. While it’s true that on the map, Iceland rests just below the Arctic Circle, there’s also something else going on here. The warming waters of the Atlantic Gulf Stream make their way to our small island. As a result, Iceland is much warmer than it would be otherwise, especially along the South Coast. Average temperatures fluctuate right around the freezing point of water. So while things are cold, they’re not THAT cold or extreme. There are always exceptions, but in general, these are the average temperatures. Average February High in Reykjavik: 37.4 ºF (3 ºC). Average February Low in Reykjavik: 28.4 ºF (-2 ºC). Another factor to be aware of when considering Iceland’s February weather is windiness. In addition to there being low temperatures and lots of precipitation, Iceland is also quite windy. Be sure to pack windproof, waterproof clothing as part of your Iceland cold weather clothing arsenal. It rains and snows a lot in Iceland, especially from September to March. You’ll find some sort of precipitation during almost half of the days out of each month. And because it’s so cold, many times you’ll get a mixture of rain, snow sleet, and other forms of frozen water. It’s a reality of any Iceland vacation, so you may as well accept it. And because the island’s weather is so unpredictable, things can change quickly. This is why I always like to advise packing lots of warm, breathable layers and topping them off with waterproof a shell layer. Staying warm and dry will go a long way in making sure you enjoy your time in Iceland. 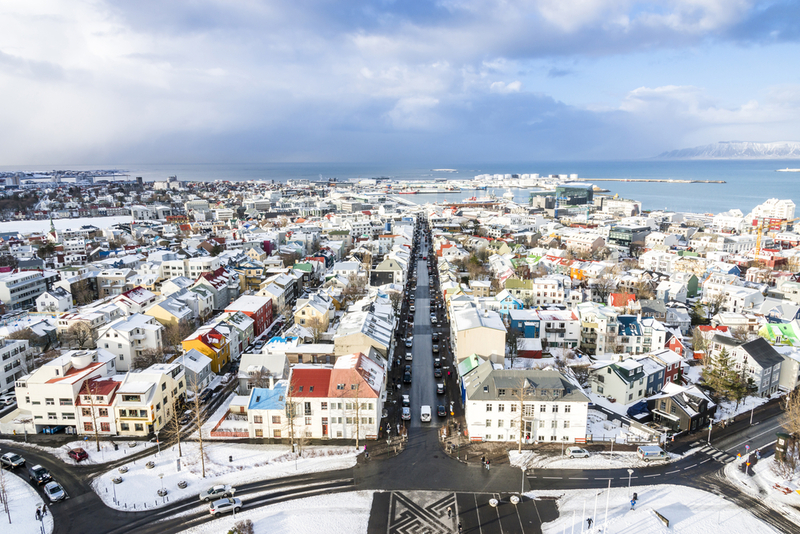 Average Precipitation in Reykjavik in February is 2.8 inches (7.2 cm) over 13 days. How Many Hours of Daylight Does Iceland Have in February? One of the common misconceptions about Iceland is that it’s dark for six months out of the year. This couldn’t be further from the truth. If this was worrying you, then read on. Yes, at the worst point (the winter solstice in late December) we only get around four hours of daylight. But several weeks and passed and at the beginning of February, Iceland gets around seven hours of sunshine. By the end the month, this number is closer to ten. The standard sunrise times at the end of February are pretty similar to what you’ll experience in other places around the world during the winter. According to www.timeanddate.com, these are the sunrise and sunset times for Reykjavik, Iceland in February. Consult the website for the times during your specific trip dates. 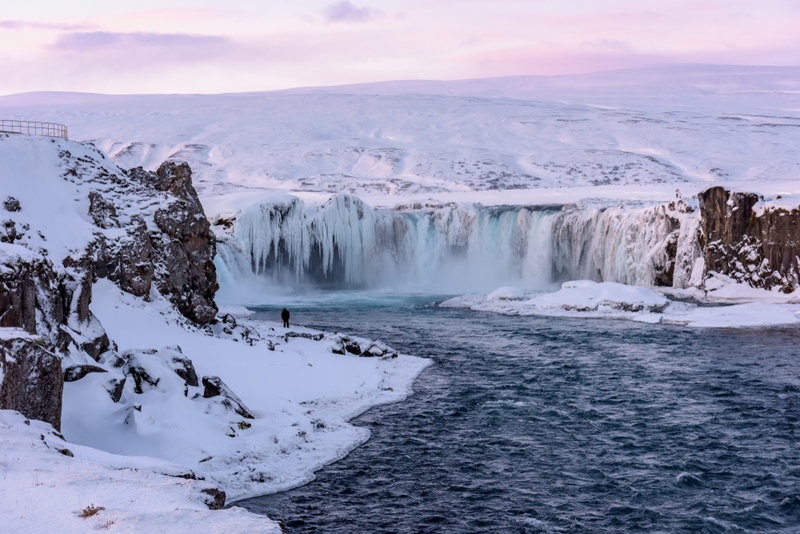 Hopefully this information can help you plan your February trip to Iceland a little better. Practice precaution when driving and remember to always check the weather forecast. Bundle up if it gets too cold and always give yourself plenty of time to arrive at your destination. Enjoy your trip.